We are currently searching for new homes for all the cats below. 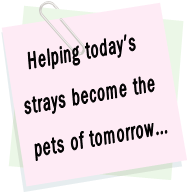 Please contact us by Email only, telling us which cat(s) you are interested in and including your address with postcode, details of any existing or previous pets and the ages of any children in the household. Please be patient if we don’t get back to you immediately. We regret that pressure of work means that phone messages are unlikely to be answered. We ask for a donation which should at least cover the cost of vaccination and ask that you do not consider taking on a kitten if you are unable to afford the costs of providing proper care which include neutering at the appropriate time, regular flea and worm treatment, annual boosters and insurance/vet care as well as food. Please note that we do perform home visits. Unless otherwise stated all our cats are ‘outdoors’ cats and do require access to a garden. Watch this space for their lovely faces to be added!